As a business owner, you are responsible for every aspect of your company – from taking the photographs, to editing, to accounting, to providing first class customer service. But in reality you’re not only a business owner – you might also be a parent, partner or pet owner and have numerous commitments and priorities away from the camera. We all know that in order to make ends meet we need to make the most of the hours in the day and pour as much of ourselves into our business as possible. But if we’re busy doing all of that, how do we make time for the other things in our lives? Well here are five ways to boost your productivity so that you get the most out of your working hours and can really enjoy your time off! I get it, when you work in a creative industry your work can vary. One day you might be shooting a destination wedding in Malta and the next, be photographing an intimate newborn session in Edinburgh. This can make it difficult to form routines, but not impossible. This is where workflows come in. For many of us having a step-by-step guide can help us accomplish tasks faster and more accurately.Try to have a workflow in place for different areas of your business, such as your client experience, running your website, writing and publishing blog posts and social media content etc. You don’t have to live and die by these workflows, of course, things will change and they might not apply to everything, but having a guide in place will help you stay on task and make sure you don’t forget something important. If you don’t already use workflows for different facets of your business, this could seriously improve your productivity. Set aside some time to sit down and really think about each step in your process. This is also a great opportunity to be objective and take a good long look at what is working and what is basically just ‘faffing around’. Is something taking up way too much time? What could be refined? Is there something that is no longer relevant to your business? Utilising workflows will save you time and stress as well as keep your business on track. Using a calendar is imperative to keeping up with tasks and making the most of your precious work hours. The busier your business, the more you’ll realise that planning ahead is key to staying productive, enthusiastic and inspired. While everyone uses their calendar differently, here are a couple of helpful tips for managing your calendar. Colour Code Your Categories. Personally, I use green for blog posts and important social media content, red for important dates and meetings, yellow for national holidays and pink for personal events like birthdays and dinner with friends.This helps me see at a glance what I need to get done that day as well as any important events I need to start preparing for. It also helps me find certain items quicker than if they were all blending into one. Use Every Angle Of Your Calendar. I’ve always needed to know exactly what’s going on and what’s going to happen. I don’t like winging it. If you invite me to a party I am going to do everything from asking you what I should wear in detail (what exactly is smart/casual anyway?) to stalking your house on street view so that I know exactly where it is. I’m an over-planner and a panic powerhouse. So for me, I like to see my calendar from every angle. By looking at it in ‘daily view’ I feel more motivated and encouraged to accomplish everything on my to-do list. But I also like to use the weekly and monthly overviews so that nothing catches me off guard. My worst nightmare is finding out I’m meant to be doing an interview or there is a really important holiday and I’m not prepared for it. Create To-Do Lists In Advance. I like to set aside one hour, normally on a Friday, to work out my weekly to-do lists. If I know that a deadline is coming up or there’s something important happening in the coming weeks I’ll add in the necessary prepping to-dos a couple of days ahead of schedule. This means that I definitely have enough time to get ready, and (in my overplanning, panic ridden mind) that if anything takes longer than I thought, I have more than enough time to sort it out. Plan As You Go. If you struggle to remember the little things like follow ups or social media updates then plan them as you go. Just published a blog post? Spend 10 minutes adding social media updates to your to-do lists over the next few days. Or maybe you’ve just emailed a potential client? Why not set a reminder this time next week to email them again if they haven’t responded? I use a really great programme called Streak which allows you to create numerous workflows within your Gmail account so that you know exactly where you stand with each client and you never lose another email thread again. I cannot recommend it enough! Now I’ll be honest this works for some and not so well for others, but it’s worth giving it a try. Time blocking is basically a method of breaking your day into manageable chunks and then giving yourself a set amount of time to complete each task. Blocking out your time can not only help you develop a routine but also push you to stay on track and be productive. However, if you find this technique is making you rush your tasks to get them done in your allotted time, rather than doing them to the best of your abilities then this might not be the method for you. If you’re a perfectionist and have a tendency to seriously underestimate how long a task is going to take you, you probably end up falling behind and feeling stressed. To prevent this from happening try to add a little ‘extra cushioning’ to your schedule and overestimate how long you think each task or event is going to take you. For example, if you think that a client consultation is going to take thirty minutes, set aside an hour and a half so that both you and your client don’t feel pressurised and have more than enough time to ask questions. It’s always better to find out you have time to spare than having to fly out of a meeting because you underestimated. Remove Distractions. In a world full of Instagram, email, Youtube and phone notifications it’s incredibly easy to get sucked into a world of distractions. To prevent the temptation to check your phone every 30 seconds, especially during work hours, turn off the phone notification settings. Also, close your email inbox tab – your Groupon offers will still be there at the end of the day, trust me. Sometimes You’ve Got To Say ‘No’. We all have an Achilles heel. For some of us, we can’t help but say yes to every client and every project. But there are only so many hours in the day, and working them all can leave you feeling stressed out and with no social life. On the other hand, some of us can’t stop ourselves from agreeing to the next night out and so constantly put off responding to that client’s inquiry. Whatever your downfall, you can’t do it all, you just have to say no sometimes. In my opinion, it’s better to work really hard and get the projects I’ve taken on done, and then be present when I spend time with family and friends than trying to do it all at the same time. Give Yourself A Time Limit. Whatever genre of photography you specialise in, you’re going to have meetings with potential clients. For the majority of the human race, meetings have a habit of overrunning. So recently I’ve been putting a time limit on how long my meetings can last by setting a start and an end time rather than leaving them open-ended. If you’re like me and have trouble cutting off a conversation or simply enjoy saying ‘goodbye’ a thousand times then you might want to consider using this same technique. 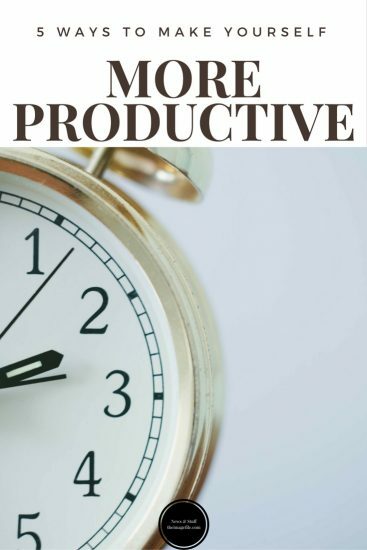 This not only keeps you more productive and focused during the meeting (rather than spending the first 30 minutes talking about your dog) but also gives you the time and opportunity to be productive with the rest of your day. I’ve found that for me being productive is less about forcing myself to get on with tasks and making it a chore, and more about creating productive habits. This makes it easier to get on with everything I need to do even when I don’t feel like doing anything at all. How do you stay productive? What practices do you use to make the most of your time?